NOTE: I was ackknowledged by the author Professor Gartzke because I have written a review for his paper and he included my notes into the paper in the International Security. 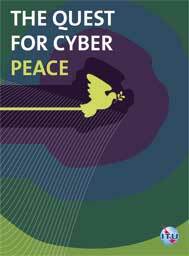 The potential impossibility of attribution in cyberspace causes at least three challenges for international politics. 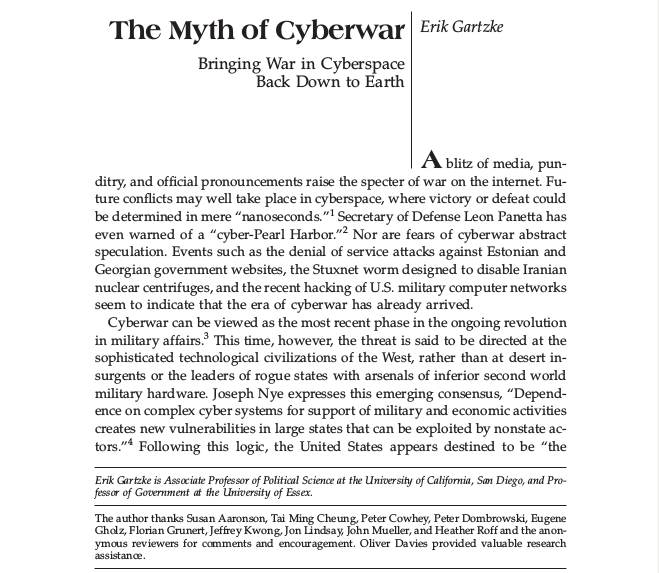 This paper analyses the systematic role of the non-attribution-problem with regard to the definition of cyberwar, its impact on legal regulation and the strategy of "deterrence through a threat of retaliation". 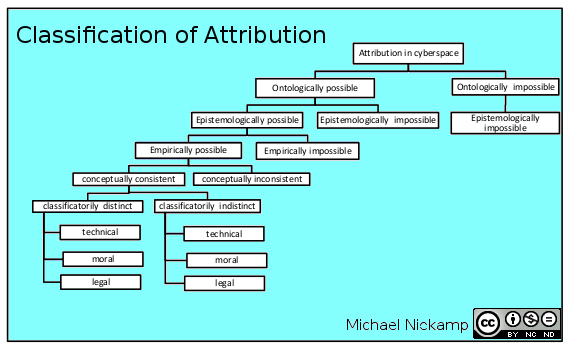 Firstly we provide a conceptual specification of non-attribution. Secondly, referring to a classical definition of war and a sound principle of self-defense, we provide a logical clarification of these terms for cases of non-attribution and their impact to define and classify "cyberwar". Afterwards we argue that any attempt to rational legal regulation under non-attribution will lead into a serious dilemma, which consists either in a reductio ad absurdum of the category of war and the impossibility of a sound principle of self-defense or the indistinguishability of a state of regulation and anarchy. However, the existence of this non-attribution-problem has no impact on the possibility of rational "deterrence through a threat of retaliation", which in turn might lead to a complete prudential dilemma. Informationstechnologie verändert seit mehreren Jahrzehnten nicht nur technische Handlungsfelder, sondern auch gesellschaftliche. Insbesondere in der Außen- und Sicherheitspolitik wird unter dem Stichwort »Cyberwar« das Gefährdungspotenzial von IT und Computern diskutiert. Außerdem werden Kriegsspiele im Cyberspace durchgeführt und mögliche Angriffs- und Verteidigungsstrategien entworfen. 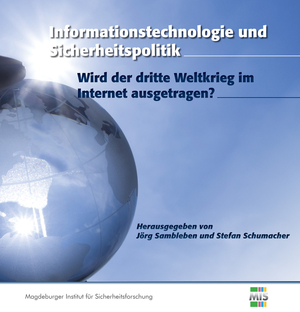 Dieses Buch beschäftigt sich daher mit dem Verhältnis von Informationstechnologie und Sicherheitspolitik und deren wechselseitigen Einflüssen. Es stellt die zwingend notwendigen technischen Grundlagen sowie aktuelle sicherheitspolitische Diskussionen vor. Dabei wird insbesondere der Frage nachgegangen, ob es einen Cyberwar gibt und welche Konsequenzen Cyber-Aggressionen hätt. Cyberwar? Wir reden immer noch über Krieg!